Bold, colorful eyeshadow is one of the bigger makeup risks we take. One swipe of a highly-pigmented hue can put you into clown territory quick. But why should that stop us from experimenting with the rainbow of eyeshadows that dazzle makeup aisles and beauty counters every day? 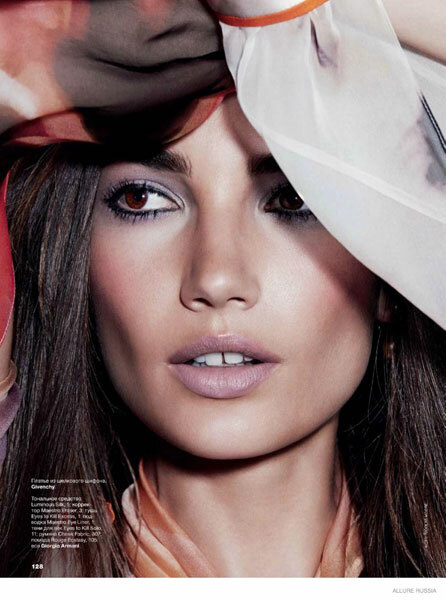 In the October issue of Allure Russia, supermodel Lily Aldridge shows us a thing or two on rocking jewel tones, colorful eyeliner and even graphic strokes on our eyes with class. The editorial, shot by Nicholas Moore, also proves that there is nothing wrong with wearing a bold eyeshadow and lip in one look. Do you dare to try any of these color combos?